We are so excited to carry the Houston Llew Spiritiles. Each Spiritile represents a story of inner spirit and enduring bond held with people we love. Each tile is made from glass and fired to copper. Some Spiritiles quote authors and poets, others philosophers and fellow artists, but every piece is designed to connect to a motivation of the self. To see the complete line please visit our store. We are thrilled to announce the arrival of Katie Loxton Candles, Handbags, Totes, Perfect Pouches and more. This is a wonderful gift with a little luxury! The collection is filled with fun and a burst of happiness! This stunning collection is the perfect gift for someone special or for yourself! With handwritten messages, they are just oh so sweet! These bags come in all sizes from Wristlets to Weekenders and Daytrippers. The new Spring patterns feature whitewashed neons, neat feminine florals, appealing stripes and checks to mention a few. Many of these items are displayed in our store. Our hours are Monday through Saturday 10-6 with a pleasant willing staff to help you. If unable to stop by, please call us or order on this website. 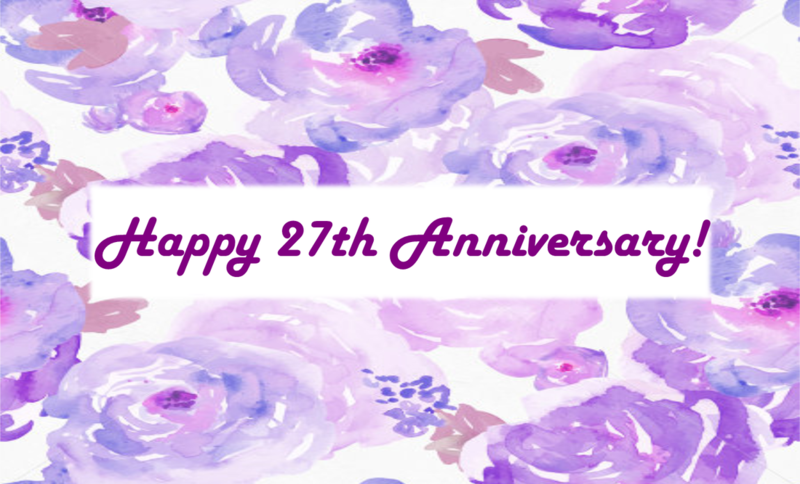 Can you believe we've been in business 27 years?!?!? Now that's something to celebrate!! Treat yourselves with 20% off the entire store, September 27th-29th! (Excludes previous purchases, discounted items, and special orders.) Can't make it in? Use code HAPPY27 at checkout to receive 20% off your online purchase! Labor Day is here. All you online shoppers enter the code "labor" and receive 20% off all orders thru midnight September 3rd.